EZY Cleaning Services can help reduce the stress by providing you with all your cleaning requirements. We are perfect for busy people who want one company to do it all. 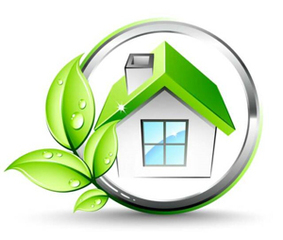 EZY Cleaning Company has been working closely with real estate agents for many years and know the requirements. Stovetop and rangehood cleaning, cupboard fronts, benchtops and backsplash cleaning, Sinks scrubbed and shining, Door frames and light switches wiped over, Skirting boards wiped over, Cobwebs removal, Marks removal and Floors vacuum and mopped. Shower screen cleaning, Shower recess scrubbed, fittings and glass cleaned, Bathtub cleaned, rinsed and left shining, Basin and vanity scrubbed, Toilets scrubbed and disinfected including base and behind, Mirrors cleaned and polished, Exhaust fan cleaning, Light switches and door frames wiped over, Tiles and fittings cleaned, Floors vacuumed and mopped. Carpets vacuumed and floors mopped, Cobweb removal, Window sills and skirting boards wiped down, Fingerprint marks removal from walls and light switches. Our fully insured, uniformed, highly trained friendly committed team are looking forward to providing you a free no obligation quote for your move clean. Get in touch with us now – on 1300 36 8881 or 0410 856668 - to start making arrangements for your House cleaning Adelaide. Our friendly and helpful contact staff keep our service hotline open 24 hours a day, 7 days a week. They will be happy to answer any questions you might have. They will also provide you with a free, no-obligation quote on our House cleaning services!